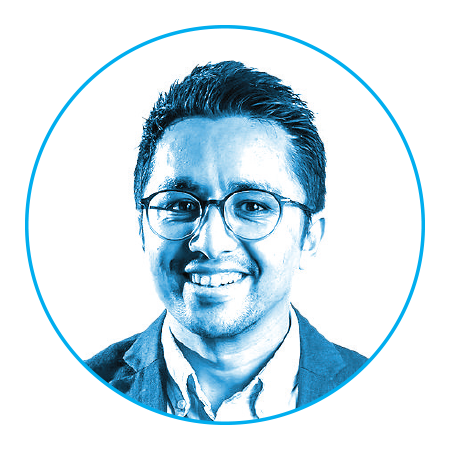 Shah is a 2000 computer engineering graduate and co-founder of the Philadelphia-based biomedical company UE LifeSciences. Ojus Wadhwa, MD, remembers one woman in particular: A 38-year-old house cleaner; she had had the lump in her breast for months. But she was poor, working all the time, running her home and supporting her family. She didn’t have time or money for a mammogram. She was afraid of the radiation. This was all too familiar to Wadhwa. 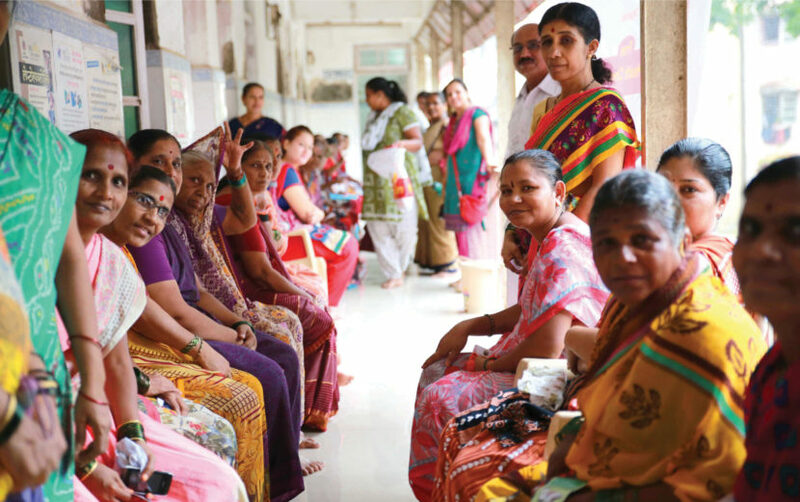 When Wadhwa heads out into the slums of Pune, India, the oncologist knows what she will see. Broken-down residences. Alcoholism. Failed infrastructure. Over 100,000 people who don’t have a toilet within walking distance. It’s the women who hold it all together, and they’re the ones Wadhwa is here to see. She and her helpers from the breast cancer advocacy organization Aastha Group arrive early in the morning, commandeering space in community centers or in private homes. 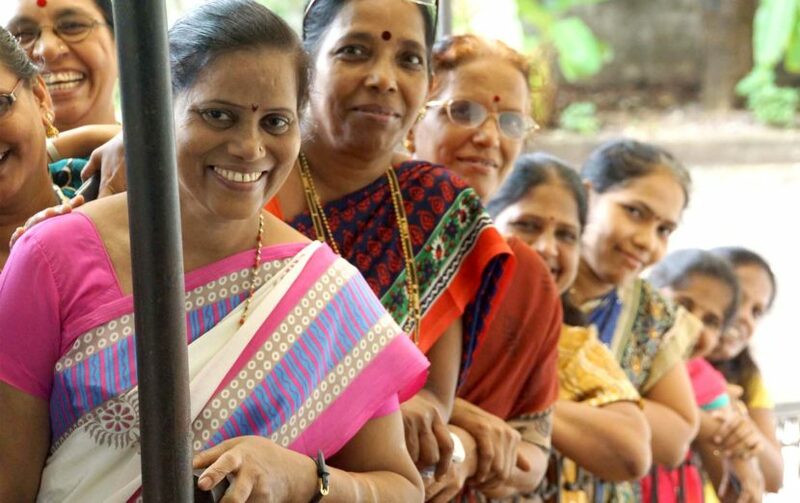 They set up examination tables and privacy curtains and by 10 a.m. the women start arriving, unwinding their saris as they describe their medical histories. Before the day is out the team will perform 100 to 125 breast screenings. In the case of that 38-year-old woman, this led to an early diagnosis and successful treatment: A life saved. “If we hadn’t been there she would have been diagnosed much later, if at all, and the outcomes would have been very different,” says Wadhwa. For this win, she credits iBreastExam, a handheld, battery-operated breast scanner born at Drexel. The iBreastExam is no heavier than a paperback book, is so easy to use it operates with just an on/off switch, and is capable of producing individual scans for pennies on the dollar. Unlike hospital mammograms, it is painless and uses no radiation. Yet it is as effective as a mammogram at detecting abnormal breast lumps. Sometimes literal, sometimes figurative, “the last mile” refers to the vast gulf of adverse conditions that can separate people from basic medical attention — and it has profound health consequences for women in the developing world. In the United States, successful early detection drives breast cancer survival rates of 80 percent, but that rate falls to just 40 percent in countries like India, according to the World Health Organization. The iBreastExam was built around technology invented by Drexel professors and is being rolled out internationally by Drexel computer engineering grad Mihir Shah ’00 through the Philadelphia-based biomedical company he co-founded, UE LifeSciences. Field operators trained by UE LifeSciences have screened more than 120,000 women and successfully identified more than 100 cases of breast cancer. 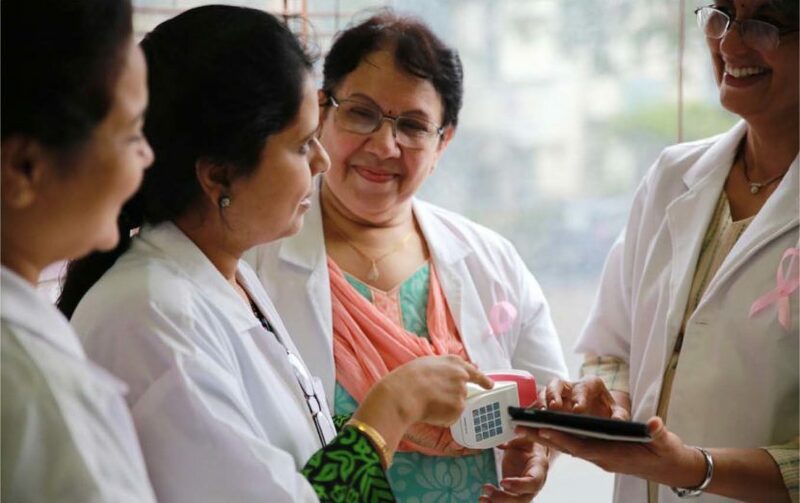 The iBreastExam has been deployed in India, Myanmar, Botswana and Mexico so far and will soon be available in at least eight other countries in Southeast Asia and Africa. The company recently inked a global distribution agreement with GE Healthcare, the world’s largest purveyor of women’s health imaging products, to expand the device’s reach. Though the device has been on the market for just two years, the story of how it went from a professor’s lab bench to clinics and community health fairs around the world is tied to Shah’s personal story, and goes back nearly 20 years to when he came to Drexel as a student from Mumbai at age 18. When Shah entered Drexel as a freshman in 1996, he spoke only adequate English: It’s his third language, after Gujarati and Hindi. He came seeking a computer engineering degree, even though he’d only ever used a laptop twice. A self-described “straight B+” student, he didn’t seem cut out for academic stardom. But his family had scrappy business instincts: His dad was a “trader,” which in India meant he cobbled together a middle-class living buying and selling used textile manufacturing equipment. It took a Drexel scholarship, all the family’s savings and some high-interest loans to bring Shah to the United States for a shot at success. Over the next several years, a series of fortunate connections, deliberate gambles and persistence put Shah in the way of fate over and over again, equipping him with all of the tools he would eventually need to succeed at tech commercialization. His first break emerged from a networking event for students interested in entrepreneurship, where Shah was pulled into a project writing real estate appraisal software for Drexel alumnus Mark Silverman ’86. A few years later, Silverman helped Shah compete in Drexel’s business plan competition. Shah and his partner won the contest and earned $5,000 and office space in Drexel’s new business incubator, the Baiada Institute for Entrepreneurship, run by the Close School of Entrepreneurship — becoming the incubator’s first tenants in 2002. He spent some time in the following years exploring technology trends, working on projects around GPS tracking and other areas, but he was searching for something bigger. He was also becoming more embedded in Drexel’s venture ecosystem, getting to know the players in tech commercialization. One was Banu Onaral, who served as the founding director of Drexel’s School of Biomedical Engineering, Science and Health Systems and who spearheaded the Coulter-Drexel Translational Research Partnership Program — a major Drexel conduit for bringing faculty inventions to market. Onaral, who is now a senior presidential adviser for global innovation partnerships at Drexel focused on emerging economies, says she championed Shah because she could see that he had his heart and mind set on making a difference in the lives of the underserved and unprivileged. In 2004, Onaral invited Shah to take a prototype of a non-invasive cardiac monitoring device to India for clinical evaluation. “They wanted real-life data, and I could make that happen by taking it to India,” Shah says. The catch: he would have to come up with $25,000 to “buy” the prototype that he took with him. Shah, then 26, pulled together his earnings from his earlier real estate software venture and booked a working vacation. The next thing he knew, he was in the operating theater getting scrubbed. He returned to Drexel with 60 case studies, enough data for Drexel’s tech transfer office to get the device licensed to a U.S.-based med-tech company. He’d found his niche. And then, in late 2006, his soon-to-be mother-in-law in India was diagnosed with breast cancer. The wedding was just six months away when Shah’s mother-in-law learned the disease was already at stage 2. It was invasive, and it had moved into her lymph nodes. She underwent surgery, then six months of chemotherapy. At the wedding, she wore a wig. Over the following years, Shah learned of eight other women among his friends and family who were diagnosed with breast cancer. Four didn’t make it. “India’s national average is similar: for every two women diagnosed, one doesn’t survive,” Shah says. The iBreastExam is sold as a kit for less than $10,000. 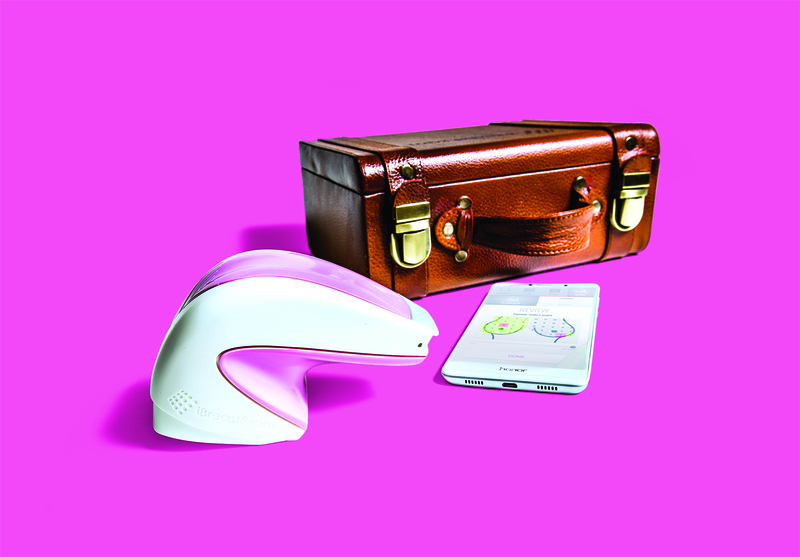 It is packaged in a leather case that includes the handheld breast scanner and a smartphone that runs an app for analyzing test results and cloud storage. .
“You cannot escape it when breast cancer happens so close to your home,” he says. He began educating himself about the disease: Where does it come from? How is it detected? “I started learning there was this huge disparity of outcomes for women in the developed world versus the developing world. In the United States, my mother-in-law’s case would have had an 80 percent survival rate, but in India it was 50,” he says. Why the disparity? Early detection is a big reason. In India, like many developing countries, women can’t always travel to a faraway clinic for a screening. Cultural taboos may discourage exposure to radiation. Mammography is expensive and India has 10 times fewer radiologists than the United States, serving a population four times larger. As Shah learned more, he found that early detection is also stymied by breast density. When the tissues of the breast are densely wound, radiation from the mammogram cannot penetrate them — and tumors go undetected. Naturally dense breasts are common among young women, women of certain ethnicities such as Asians, and about 40 percent of women over 40. The sensitivity of a mammography machine, which can be as high as 80 to 98 percent, drops to between 30 and 64 percent in women with very dense breasts, according to the Radiological Society of North America. As chance would have it, faculty researchers at Drexel were experimenting with technology that could address just this problem. In the School of Biomedical Engineering, Science and Health Systems, Professor Wan Shih had been studying a phenomenon called “piezoelectrical effect” for a couple of decades and inventing piezoelectric devices in collaboration with her husband, Dr. Wei-Heng Shih of Drexel’s Department of Materials Science and Engineering. Piezoelectric effect refers to the ability of certain materials to generate an electrical charge when pressure is applied. One novel piezoelectric device they invented is a finger-like, flexible tissue stiffness sensor. Together with doctoral candidates Hakki Yegingil and Xin Xu, Wei-Heng Shih, and surgeon Ari Brooks, MD, director of the Integrated Breast Center at the Pennsylvania Hospital, Shih investigated how this piezoelectric tissue stiffness sensor could be used to detect tumors. Their innovation was to engineer the tool in such a way that it could detect the ever-so-slightly-harder mass of a tumor within the surrounding tissues. The technology can detect tiny early tumors, even in dense breasts, making it perfect for early detection in all women — young, old and across all ethnicities. Shih and her co-researchers obtained a patent for a “soft material stiffness” sensor in 2009 — one year after being herself diagnosed with aggressive ductal carcinoma of the breast and undergoing treatment. By this time, Shah was serving as a Drexel entrepreneur-in-residence and had begun working — with his UE LifeSciences co-founder Matt Campisi (an introduction made by his mentor Onaral) — on a different non-invasive breast cancer detection tool that used thermal imaging to spot telltale concentrations of heat that indicate a tumor. Shah thought that that tool, called the NoTouch BreastScan, would be cleared by the Food and Drug Administration in a few months. Instead, the FDA lingered over it for two and a half years while the agency fretted that it would confuse consumers and deter them from getting mammograms. Then, the FDA said no. “That was the darkest part,” Shah remembers. “I had no Plan B.” He and Campisi had started the company with a $150,000 friends and family fund — practically nothing for a med-tech startup. For three years their head of operations went without a salary. A year and a half into it, Campisi was offered a six-figure salary by another company. Campisi turned it down, saying he believed in Shah and the mission. No pressure. They wrote a letter to the FDA explaining the situation and incredibly, that worked. The FDA cleared NoTouch BreastScan in August 2012. But by then Shah had been introduced to Shih and her piezoelectrical sensor technology through his involvement with Drexel’s Coulter-Drexel Translational Research Partnership Program. He immediately saw the technology could reach women in their community better than the more cumbersome and costly NoTouch BreastScan. Still, UE LifeSciences needed funds. An assist from Drexel saved the day. A mentor in the Office of Technology Commercialization, Senior Associate Vice Provost and Executive Director of Technology Commercialization Bob McGrath, tipped Shah off to a Pennsylvania Department of Health call for grant proposals, and as luck would have it, the state specifically wanted to fund cancer detection. “That Pennsylvania grant was akin to the one shot that Luke Skywalker got in ‘Star Wars’ to destroy the Death Star — that one chance in a million to hit the target,” recalls Shah. Shah had never written a grant proposal before, but with Shih’s well-recognized invention, her technical proposal, and his business plan, he went head to head against other technologies to compete for the grant money. He vividly recalls the phone call in February 2012 telling him he had won. Later, at a formal ceremony handing over the $878,000 grant, the state Secretary of Health took Shah aside. “He told me, this is your golden ticket. Spend this money as if it’s your own. We are trusting that you will build a product that will save lives,” Shah remembers. Shah and Campisi put together a team of 27 clinicians, researchers, engineers and coders in the United States and India and began building. Shah knew that to succeed commercially, the device would have to be portable enough to serve remote villages. It would have to be simple enough for any community health worker to use it without a doctor or radiologist. It had to connect wirelessly to the internet and use small data files. It had to be rugged in humid and hot environments. It had to be impervious to breast density. All that, and it also had to be “ridiculously affordable,” Shah says. In two and a half years, they had the iBreastExam. With FDA clearance in hand, and approval for medical use in Europe, his company now employs over 70 people in the United States, India and Malaysia. Two key numbers help to explain the adoption of the new screening test: 85 and 92. Another key figure: $2. That’s how much it costs to administer an individual scan with the device, versus mammography fees that typically range from $6 to $30 per screening. Things are picking up speed now for UE LifeSciences. A big piece of the commercial puzzle fell into place in summer 2016, when Shah was invited by Terri Bresenham, chief innovation officer at GE Healthcare and the head of its Sustainable Healthcare Solutions effort, to give a demonstration of iBreastExam’s technology. 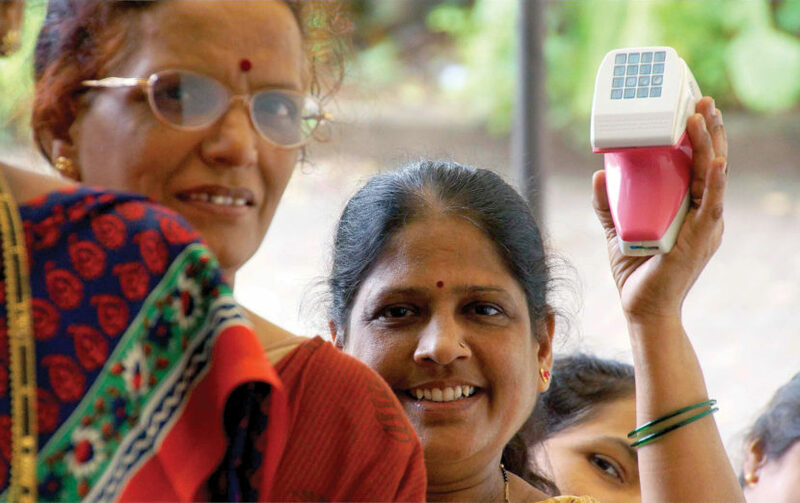 GE Healthcare had been scouting startups for emerging technologies to help serve people in developing countries. Shah presented to a room packed with about 80 executives, including the heads of its mammography, ultrasound and MRI divisions. Diplomatically, he described ways that their mechanisms fell short in some parts of the world, and how iBreastExam — affordable, mobile, simple — was filling in the gaps. Bresenham was thinking it was one of the best ideas she’d heard in a long time. In November 2017, GE Healthcare inked a deal to distribute iBreastExam in more than 25 countries in Southeast Asia, South Asia and Africa as an adjunctive tool in its healthcare portfolio — expanding screenings to more than 500 million women in developing countries. The opportunity to impact health on such a global scale would never have materialized without the support mechanisms at Drexel, says Shah. “It’s not just about an entrepreneur with guts of steel; it’s not just an engineering team,” he says. “Even a visionary needs support to take an unfunded idea through proof of concept, to develop a business model around an emerging technology even before it has a viable revenue stream.